On June 18, a United States-led international coalition downed an aircraft of the Syrian Air Force. According to a statement by the Syrian military, the incident took place in the southern Raqqa countryside. According to the report, the Syrian jet fighter was carrying out a combat mission against Daesh terrorists. "Our aircraft was downed at lunch time today near the city of Raqqa, when it was fulfilling its mission against the IS [Daesh]," the Syrian military said, adding that the US-led coalition was responsible for downing the aircraft. The ministry noted that the coalition’s "actions are aimed at halting the Syrian army and its allies in the fight against terrorism, whereas our army and allies make great progress." According to the ministry, the pilot of the aircraft has not been found to date. A rescue and search operation is underway. Later, the coalition confirmed the downing of the Syrian aircraft, saying the plane was bombing the positions of US-backed opposition forces. 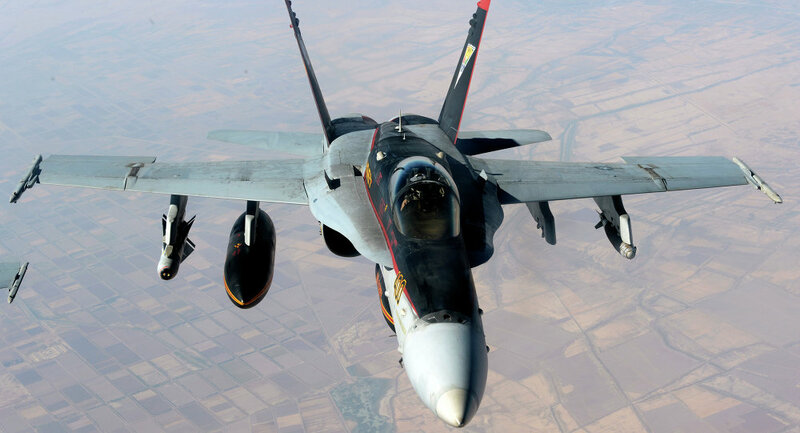 "At 6:43 p.m., a Syrian regime SU-22 dropped bombs near SDF fighters south of Tabqah and, in accordance with rules of engagement and in collective self-defense of Coalition partnered forces, was immediately shot down by a US F/A-18E Super Hornet," US Central Command said in a statement. The statement added that before downing the jet the coalition contacted Russian counterparts "via a de-confliction line to de-escalate the situation and stop the firing." The US command underscored that fighting the "Syrian regime," Russian or pro-Damascus forces is not the coalition’s mission, but it "will not hesitate to defend the Coalition or partner forces from any threat." "The Coalition presence in Syria addresses the imminent threat ISIS in Syria poses globally. […] The Coalition calls on all parties to focus their efforts on the defeat of ISIS (Daesh), which is our common enemy and the greatest threat to regional and worldwide peace and security," the statement added. Commenting on the incident, Russian Foreign Minister Sergei Lavrov called on Washington to coordinate actions in Syria and avoid unilateral actions. "We call on the United State and all others who have their forces or advisors on the ground [in Syria] to ensure the coordination in our work. Zones of de-escalation are one of the possible options to jointly move forward. We call on everyone to avoid unilateral moves, respect Syrian sovereignty and join our common work which is agreed with the Syrian Arab Republic's government," Lavrov stated. Moscow calls on Washington to respect Syrian territorial integrity and the country's sovereignty according to the UNSC 2254 resolution and other documents, he added. "As for the events on the ground in the Syrian Arab Republic, it is necessary to fully respect the sovereignty and territorial integrity of Syria. Therefore, any actions on the ground, and there are many involved parties, including those who carry out military operations, must be coordinated with Damascus," Lavrov said. The United States carried out another "act of war against Syria," according to Russian lawmaker Alexei Pushkov. 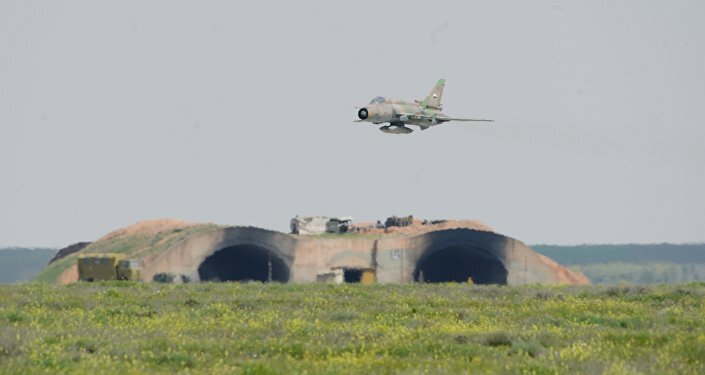 "By downing a Syrian Su-22 over Raqqa, the US carried out a new act of war against Syria. Why are they talking about defense? Raqqa is Syrian city, not American," Pushkov wrote on Twitter. Pushkov also said that the US is at "limited war with Syria." "The US regularily carries out strikes on military objects and the Syrian Air Force. It means that they are in the condition of a limited war with Syria." First Deputy Chairman of the Russian Federation Council's Committee on Defense and Security Frants Klintsevich described the actions of the US-led coalition as a provocation against Russia. "Of course, it is not about defense. This is an aggression and a blatant provocative act. First of all, it is aimed against Russia," Klintsevich wrote in a Facebook post. "It seems that the US under [President] Donald Trump is the source of a whole new danger not only in the Middle East, but around the world," he added. Last month, the Russian Defense Ministry accused the US-led coalition of hindering the Syrian army's advance against Daesh by conducting strikes on pro-Damascus forces in southern Syria. The ministry added that instead of fighting Daesh the US-led coalition along with the Syrian opposition have agreements with terrorists so that they can leave the territories under their control and attack the areas controlled by Damascus. "Instead of destroying the terrorists guilty of killing hundreds and thousands of Syrian civilians, the US-led coalition together with the Syrian Democratic Forces […] conspire with Daesh leaders for them to peacefully surrender the settlements they control and relocate to the provinces where the Syrian government forces are actively engaged," commander of the Russian grouping in Syria, Col. Gen. Sergei Surovikin said. In turn, Chief of the Russian General Staff's Main Operational Directorate Col. Gen. Sergei Rudskoy underscored that the Russian military sees no significant results of the coalition's fight against terrorism and called on it to focus on the counterterror fight instead of bombing the Syrian Army. "At the moment, we are seeing that the actions of the [US-led] coalition only hamper the destruction of Daesh units by the [Syrian] government forces," Rudskoy said. This is not the first time the US-led coalition's activities in Raqqa have caused casualties. Syrian media reported earlier that at least 43 civilians were killed as a result of the US-led coalition airstrike in the region. Just a few days later, the Lebanese media reported that the coalition's airstrikes killed more than 30 more civilians near Raqqa. Moreover, US-led coalition forces have repeatedly attacked the Syrian Army and its allies in other parts of Syria. On June 8, the US-led coalition bombed pro-Damascus forces near al-Tanf in the area of a de-confliction zone following an alleged attack by a combat drone resulting in no coalition forces' casualties. This was the third attack by the coalition on Damascus' allies in the area. The coalition targeted a drone and trucks with weapons. On June 6, the Pentagon announced the coalition conducted a strike on pro-Syrian government forces as they entered the de-confliction zone with Russia and posed a threat to its personnel. The force comprised of a tank, artillery, anti-aircraft weapons, armed technical vehicles and more than 60 soldiers. The first similar attack on pro-Damascus forces near al-Tanf took place on May 18. On May 18, the US-led coalition struck pro-Assad fighters near al-Tanf in the area of an established de-confliction zone with Russia. The strikes occurred near al-Tanf, where US and British special operations forces have been training Syrian rebel fighters near the border with Iraq and Jordan. The US State Department said that the strike was carried out as self-defense and was not indicative of an escalation.